Round one of the first-ever multi-round splatfest has come to an end. The U.S. and European Splatoon 2 communities battled it out this weekend to decide the first finalist in the TMNT-themed tournament. In what could be considered an upset, team-leader Leonardo won the public poll with a pretty hefty 57% of the votes. However, the cool-but-crude Raphael pulled back both Team and Solo play points to be declared the overall winner 2 - 1, Raphael will now go on to the Grand Finals in two week's time. Pearl was stoked, burning katana master "Leo-Nerd-o" while salty Marina showed her true fake-fan colours by referring to Raph as "Ralph". Still, I'm genuinely surprised that Leo took the public vote. I though Raphael would clean sweep this whole tourney. 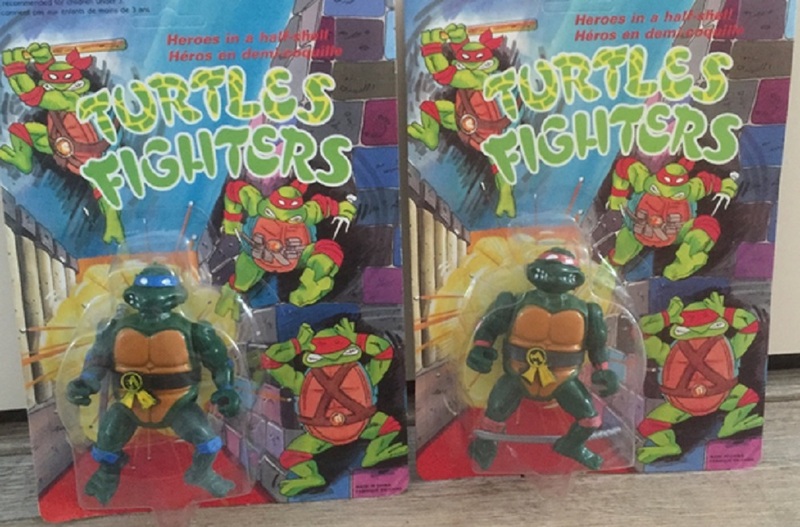 Round two will see Donatello's bo-staff clash with Michelangelo's nunchucks. Fun fact: During the original show's run, here in the UK, every episode was censored to omit all appearance of said nunchucks. This is because, at the time, the weapon was banned from appearing in TV shows and movies. We didn't even get Enter the Dragon uncut until the late '90s. The Donatello vs Michelangelo splatfest begins on May 11 in the U.S and May 12 in Europe.